Corey Picketts ‘Silent Show’ – Fit Up! Corey Pickett Presents “Silent Show”.The loudest silent show you may ever see. A delightful mix of high energy, cartoon-esk physical comedy and circus stunts. All set to a jazzy electro swing sound track! Using His amazing hand and eye coordination and over the top facials, Corey takes you on a not so silent journey with slick skills and sensational silliness, finishing on top of a giant unicycle. An Exciting display of exceptional tricks with quick wit comedy! Corey takes you through many of the circus stunts at his disposal, using audience participation and high energy “Corey!! !” will get the audience whipped into a frenzy and screaming for more. 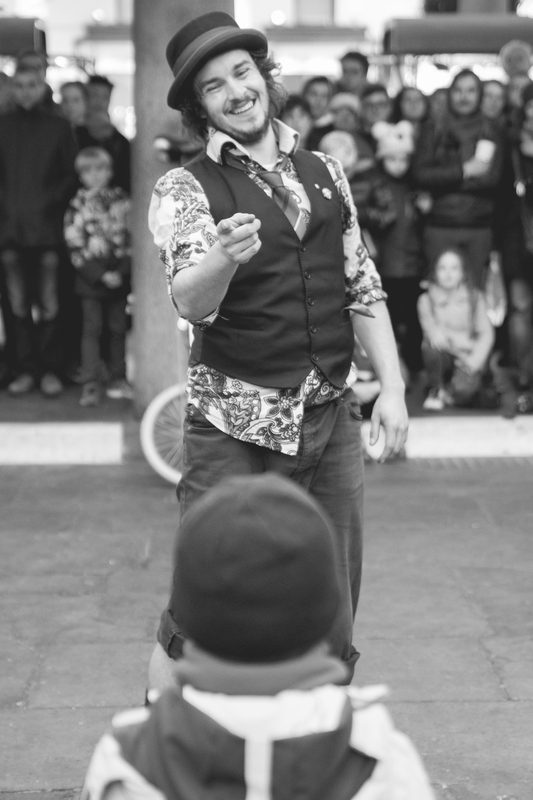 From 5 ball juggling to a 5 foot unicycle, you can guarantee Corey will enthral and entertain.